All sessions are given live starting at 8 pm eastern (New York, U.S.) time, ending around 9:15 pm. This series will explain and explore effective strategies for understanding and parenting ADHD in children and teens. It offers fresh perspectives on managing challenging behaviors and creating collaborative solutions. 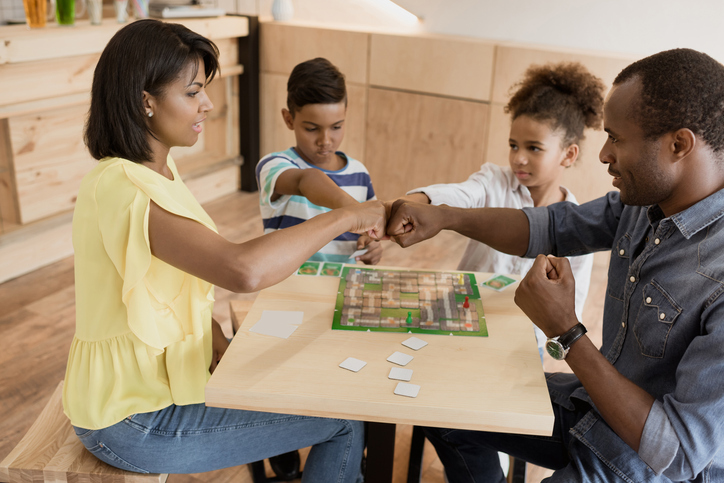 The series will teach parents successful tools for maximizing your child’s potential, minimizing behavioral conflicts and improving overall self-esteem. Based on her award-winning book, What your ADHD child wishes you knew, Dr. Saline mixes lecture, exercises, and discussion to help you develop creative, lasting solutions to everyday challenges. Meet your child where they are – not where you expect them to be. Do homework and chores end up with you and your child or teen arguing? Do you ever wonder what’s really going on in the minds of kids with ADHD? Dr. Sharon Saline, a veteran psychologist, has extensive experience working with children, teens, parents and school staff on how to better manage life with ADHD. 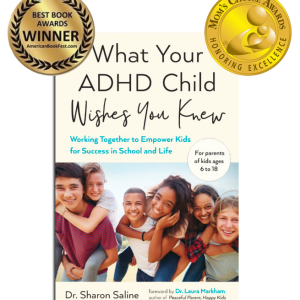 Based on her new book, What your ADHD child wishes you knew: Working together to Empower Kids for Success in School and Life, Dr. Saline offers rare insights into how kids honestly think and feel about having ADHD and what best helps them. With her unique, strength-based approach–’the 5 C’s of ADHD parenting,’ you will learn how to teach your kids the essential daily living skills they need for success with less arguing and more cooperation. When a child is diagnosed with ADHD, the whole family is affected. In this seminar, taught by author and ADHD expert Dr. Sharon Saline, you will gain the essential information you need to understand ADHD and improve your child or teen’s executive functioning skills more effectively and patiently. You’ll learn how the ADHD brain works, how to navigate school and advocate for your son or daughter, how to reduce conflicts at home and how to help them become more confident and competent. She will also address hot topics such as managing technology, anxiety, siblings and social relationships. 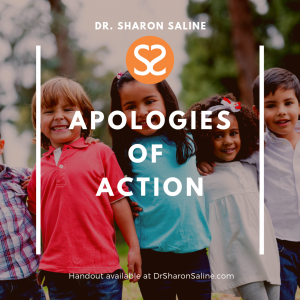 Learn directly from Dr. Sharon Saline as she shares her valuable insights and recommendations about living successfully with ADHD. What are the signs that ADHD may be a factor? How do I obtain an accurate diagnosis for my child or teen and then what’s next? What are the typical challenges for kids with ADHD and how can I best help my son or daughter learn the skills they need? What are the 5C’s of successful ADHD parenting? What’s the most reliable path to working together collaboratively to build competence and resilience? This seminar will answer those questions and more. All classes are held from 8:00-9:15pm EDT and are recorded if you miss one. SESSION ONE: All about ADHD and Medication: What is ADHD and executive functioning skills? How do I obtain an accurate diagnosis and talk with my child or teen about it? What role do medications and non-medical interventions play? Once we have a diagnosis, what’s next? SESSION TWO: All about ADHD at School: What can we do to help manage school-related ADHD issues like school challenges, learning disabilities or daily frustration? How do we set up home/school plans that promote success and positive self-esteem? What types of accommodations should we arrange? How can we reduce homework stress and create more effective studying? SESSION THREE: All about ADHD at Home: How do we stop arguing and improve cooperation? What types of plans and routines foster the executive functioning skills kids with ADHD need the most? Why don’t punishments work and what can you do instead to motivate your son or daughter? SESSION FOUR: All about ADHD in General: How can you help kids with ADHD make and maintain friendships? How can you stop arguing about technology? What are signs of co-occurring mental health issues and risky behaviors and what should you do about them? The Convenience of Your Home! Attending these seminars is as easy as connecting with your computer. Each week we will send you any presentation and reading materials you need. You can print out materials so you can easily take notes, choose to follow them on your computer, or store them away and just listen to the sessions. All seminars will be recorded, with those recordings available to any participant who wants to hear them again or catch up from a session they missed. REGISTER NOW – $149 Regular price. Each session will include 45 minutes of guided content, followed by a 15-minute Q&A. Upon registration, an email will be sent to you with connection information.